Swissgarde is a range of trusted products respectful of traditional roots that help protect your family and home and give you standing in your community. Why look at tradition? A tradition is a way of thinking, behaving, or doing something that has been used by the people in a particular group, family or society, for generations. So, with reference particularly to health and wellness, it would include the products and practices indigenous to different cultures that are used in the maintenance of health as well as in the prevention, diagnosis, improvement or treatment of physical or mental illness. An example of traditional use would include the application of Aloe vera to burns and wounds or, eating Ginger for nausea and motion sickness. Traditions are embraced by communities because even though, in most cases, science has not yet “proven” why they work, the fact remains that they do work! FROM THE EARTH The dependence of humankind on plants is as ancient as our revolutionary history. 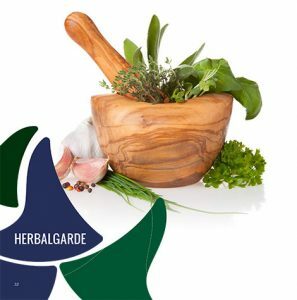 It is likely that the profound knowledge of herbal remedies in traditional cultures and the selection and use of plants, developed through trial and error over many centuries, and the collective wisdom that has been gathered, has formed the base to modern medical science. Around the world, there are around 400 000 species of plants, many of which have the potential to support health – natures chemist on our doorstep! Traditionally used products feature in the lives of thousands of people every day. In South Africa, it is estimated that 80% of the population use traditional products. The Swissgarde brand is proud to be able to offer people traditional products – for topical and oral use – which have been manufactured to the highest standards which ensures consistent quality and purity. Garlic – used for over 5000 years with a long known benefit on reducing blood cholesterol levels and the cloves are used widely for infections. African Potato – this well-known African plant is part of the Tulip family and has a long traditional use for its immune boosting properties. Aloe vera – one of the oldest medicinally used herbs, known especially for topical use on wounds and burns. It was also a favourite purgative during the Middle Ages. Buchu – native to South Africa, and used by the Khoisan as a general health tonic and for flushing the kidneys.